If you know the SCORE, you belong! The NCAA tournament is truly great event, but it’s very harsh. You win or go home. For the past 6 days, you’ve had upsets, last second buzzer beaters and the elite teams exerting their will on the less talented teams. The greatest thing about the tournament is when a cinderalla team gets an opportunity to play into the next weekend. This year’s team is Virginia Commonwealth (VCU). Before the tournament began they were considered barely worthy to be in the tournament over some bigger basketball powers like Virginia Tech and the University of Colorado. They quickly dismantled that myth by being the only team to win 3 games this week rather easily beating USC, my alma mater Georgetown and Purdue. What made it so special? They believed they could score against those Big 3! As I stated, this tournament can be harsh, especially if you lose. Our finances can also be harsh. How many of us have been turned down for a credit card, or loan that would have helped us become more independent. Did you know the score, the FICO score that is. The Fair Isaac Company developed custom software back in the 1980s that helped other companies determine a credit risk based on a number derived from a person’s credit history. This number soon became a standard that was adopted by the three main credit bureaus: Experian, TransUnion, and Equifax. 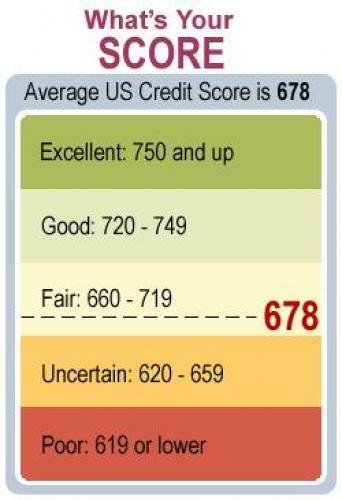 The FICO score ranges between 300 and 850. Your credit report itself does not have a FICO number. It is simply a report of your current and past credit history. Most credit history will only go back seven years, although a bankruptcy will stay on your report for ten years. You’re entitled to a free credit report each year and it’s always a good idea to check it annually to make sure it’s correct. Here’s how to get your free credit report. A FICO credit score is based off of your credit history, but it’s not actually a part of your credit report. Instead, the three major credit bureaus will calculate your FICO based on your credit history they have on file. This means you can have up to three different FICO scores at one time. Your FICO score does not come with your credit report and it isn’t something you’re entitled to annually. You may have to pay a fee to actually receive your score. As you can see, the bulk of your credit score comes from your payment history and how much debt you actually have. Those two items account for 65% of your score. So, if you’re really looking to improve your credit score, these are the areas you’ll want to tackle first. We’ve determined what makes up a credit score, but why is it so important? Your credit score will follow you for your entire life and if you are ever trying to borrow money, the lender is going to look at your credit score to determine whether or not to lend money to you. Need to buy a car? They will check your credit score. Looking for a mortgage? You can bet they are checking your credit score. In fact, even some employers are checking credit scores when hiring to possibly determine who would make a good employee. Not only does your credit score determine whether or not you’ll receive financing, it also determines how much it will cost you to borrow that money. People with higher credit scores are deemed to be less of a risk and therefore will typically receive the lowest interest rates. Those with lower scores are viewed as more of a risk so the bank will offset that risk by lending you money at a higher interest rate. And when you’re talking about larger loans such as buying a vehicle or a home, just an extra interest rate point could add up to thousands, and even tens of thousands of dollars wasted on interest. What happens if you have made some mistakes in the past and now your credit score is low? Don’t worry. The good news is that your credit score is constantly updating, so every month as you begin to make improvements to your credit history, your score will be sure to follow. But keep in mind that items on your report will stay there for seven years, so it will take some time for serious negative marks to eventually disappear completely. Thankfully, there are a number of things you can do to improve your credit score. Start with the basics and make sure you’re making all of your payments on time. Remember, payment history is the single greatest factor in your credit score. If you make payments over time, you’ll slowly start to raise that score. Second, reduce your total amount of debt. The second largest impact on your score is how much debt you have, so if you can put a dent in your overall debt you’ll also begin to make some serious headway. Make a $5 Love Deposit a Day! Good Morning S2S fans. Today in our Marriage Monday feature we are focusing on deposits. So let’s say we deposit $5 a day into our savings account. That would be like the Starbucks we buy, or the eating out for lunch. If we do that each day we will have $100 in the bank in a month, and $1200 by the end of the year including interest. It seems easy enough, but we often neglect to do the simple things. In Marriage, it’s the same way..We always feel that in order for our partner to feel love, we have to go on a grandiose vacation, or an elaborate dinner to feel love. Now those things are nice, but if we only do those things a couple of times a year, but neglect them the other days, would you think that was a loving marriage? It takes just a little effort to truly plug in to your spouse even in our time crunched society. Indeed we don’t have a lot of time. By the time you factor in sleeping, get to and from work, getting dinner ready, spending time with the children, decompression time, it leaves you with on average 45 minutes a day to truly plug in. That doesn’t mean men, your spouse will be available every night for some intimate time. That may make YOU feel close, but not necessarily your partner. Both of you will have to figure out what each of you will need in order to feel close. 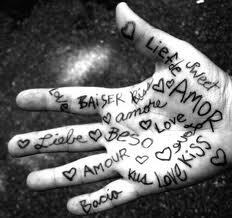 So as you take action to move forward in closeness, find out what each other needs first. Once you find out what it is, be creative with it, have some fun. Don’t worry about being awkward. Remember you weren’t always suave when you were dating, but it was the attempt, and the love you showed the other person that made the relationship solid. As you go on throughout your day, think about how you can make the $5 Love Deposit. Time to lace up the sneakers. We have a game to play! Yesterday was a tough day for Louisville and St. John’s who lost their tournament games yesterday. Both had aspirations of going far, but didn’t get it done. Long Island University which is playing in the tournament for the first time in 14 years is really hyped about their game today against North Carolina. As LIU’s players sit in their lockers before the game may look back and reflect on how they got here in the first place. On the road to success there were many people that sacrificed and provided skills that helped them get here. When it comes to our finances, we were also provided information that gave us our view on how we handle money. Whether it was stated or hidden, our environment shape our view of finances. Taking that all into account we may be hesitant to be transparent, and share our lack of knowledge about finances in fear it will hurt the team. That’s ok, our partner probably feels the same way. If we play our game, and do our best we have a chance to win. Here are some questions that will help reveal our issues individually that will help us begin to strengthen our team financially. Step 1. What messages about money did you receive from childhood? Examine these 5 questions. Who in your family had the power and control of the situation when it came you money? What type of fun and happiness came as a result to how money was used in your home? How did your parents talk about money with themselves? What was the relationship between success and money in my childhood home? What were the differences between how your mom and dad handled money? Step 2. We will look at your individual world view in regards to money and how that shapes your handling of money. How do my friends, my family and surroundings affect my relationship with money? How do advertisements, mass media, affect my relationship with money? What does society tell me about my obligations with money? What’s the first thing I notice when I see my friends or family? What would my two best friends tell me is the most important thing about money? What are their relationships with money, like? Step 3. We will look now at the family voice? Once you have kids, or if you have kids now, the money pressure increases two-fold. So let’s examine these questions? What does my mate or spouse need financially to have his or her basic needs met? What do my children need financially to have their basic needs met? Why does my mate want what she wants? Is it based on family, society, or general desire? Take your time, concentrate and be honest. This exercise will go a long way to unlocking your thoughts about money, and how working together as a team will put you in a position of strength. Time to lace up the Sneakers.WE HAVE A GAME TO PLAY! To win this tournament you have to understand your role. In order to make our run in this tournament we have to know and understand our roles. When it comes to this tournament, our team will need that “go-to-guy” the person that will take the last shot during crunch time. When it comes to finances, this person is more like the visionary, has a passion for making money and will have strategies to increase our net worth, similar to a Chief Executive Officer in a business. The star player, like the CEO, will bask in the glory, when we win, but will take the heat when we lose. In order to get the ball to that person, we will need someone to be in the background. Like the CFO, the background guy won’t appear on the front page of the sports section, but is just as important. This person is skilled with managing the flow of the game and has the ability to keep things calm in the closing minutes when the game gets tight. When we come together as a team you can’t both be the main scorer. Someone has to do the dirty work like rebounding, be the assist maker, defensive specialist and bench player. Both positions are just as important as the other. When it comes to finances it’s not any different. If both of us are out making all the money, but no one is managing it, making sure the bills get paid or preparing for the future and creating a legacy for our children and grandchildren then we won’t make it far in this tournament. One missed assignment could mean the difference in winning and losing the title. Now can one person lead the whole team and do it all? Yes, but there are weaknesses in this strategy. If the other person doesn’t know the plays or if we don’t have a back-up plan when the star player can’t score it will affect the outcome of the game. Take a look at these assignments and determine which is the best position for you in order to prepare our team for the run to success. Star Player – Has a clear understanding and vision of finances. Has a passion for finance. 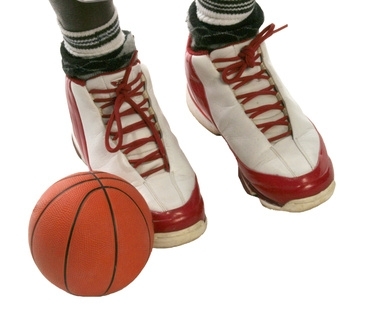 Point Guard/Assist Man – Understands finances, but not the visionary and pays the bills. Rebounder/Defensive Specialist – Manages the debt, reports on cash flow, pay the taxes and keeps records. In closing, take your role seriously and embrace it. It’s important to our success. Ok. tourney players..this is what you have been waiting for. Championship Week is over. You have celebrated by coming together as a team and it’s now time to find out what your seeding is in the tournament. All of you may feel that you are a #1 seed based on how well you are doing on the job, by the fact you make time to go on an exotic vacation every year, or you are able to buy great birthday and christmas gifts. Honestly some of you are limping into this tournament not performing at your best. And if we don’t come together as a TEAM right now, we will not be in this tournament long. I want us to be there until the end. I am committed to getting you there, if you are committed to working hard every game to get there. So as far as the seedings..here they are. Where are you in this tournament? 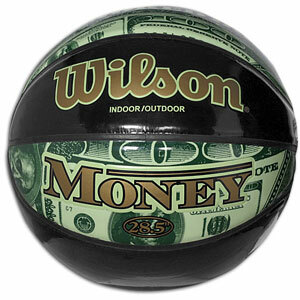 1-4 Seed: If you as a couple have a financial plan and you review it with your teammate regularly. You know exactly your net worth is, track your expenses, live within your means and you know what your needs for retirement are. You are the elite in this tournament, but you can be knocked off if you begin to take things for granted and the opponent lightly. As long as we stick with ourplan we will make it to the Finals. 5-8 Seed: As a team we have a great game plan, but are inconsistent in the execution of our plan. We need to review and refocus our efforts on our game plan. 9-12 Seed: We have the potential to win it all, but the ball hasn’t bounced our way. We have the tools to succeed, but we haven’t created our financial plan for sucess. Now is the time to put it all together. We can win this thing! 13-16 Seed: We have no plan and feel we can’t win. We are just feel grateful to be in this tournament. We are the underdog and an early exit is likely. NO WAY! I as your coach am not going to let that happen. If you have the will to win and you believe you can win, anything can happen. I believe in you. Let’s take one practice at a time. One game at a time. The key to this tournament is to understand the seed we deserve and we know where we should be. By acknowledging the correct seed we can create the proper attack. If we don’t we will surely get bounced from the tournament early. Don’t worry there are a few things we can do to get ready for each game. 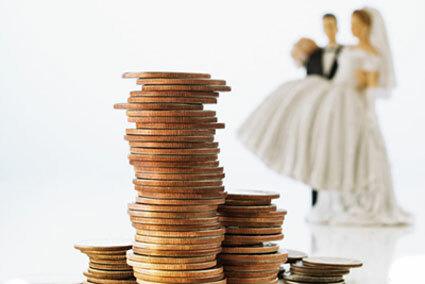 Acknowldege that we have weaknesses as a couple when it comes to finances. Determine where those weaknesses are. Create a game plan on how we will attack our debt. ONE! TWO! THREE! TEAM! Let’s go out and compete. You can start Fresh because it’s Championship Week! Championship Week in my opinion is better than the NCAA tournament because it gives every Division 1 team that has a conference tournament the opportunity to participate in ‘Big Dance’. Your won-loss record of the regular season bears no weight on the opportunity to advance to the NCAA tournament. If you win your tournament you’re in. Case in point, George Washington holds the distinction of qualifying for the NCAA tournament with the worst record. In 1961, their record was 9-16. The great thing about that is they earned the opportunity to participate because they came together as a team in that moment. When you get a chance to play, anything can happen. This is what “Marriage Madness” is all about, the opportunity to play and WIN. 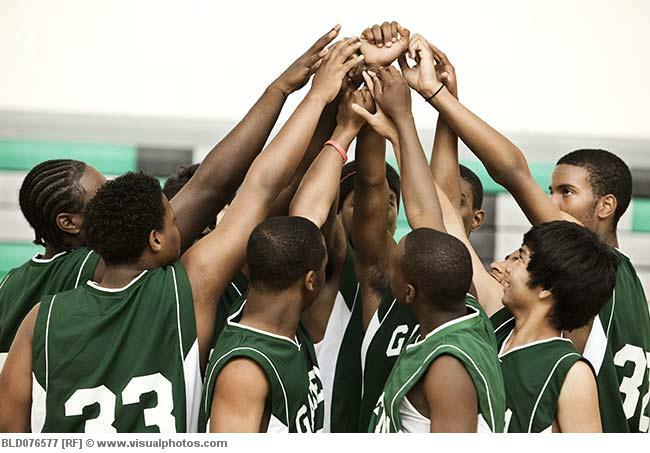 As we prepare, to participate in the big dance, take this time to forget about your past losses, your lack of participating as a team when it comes to finances, or you lack of skill or knowledge. Start today!! In preparation do these 3 things before our “Marriage Monday” selection show. Take today’s survey (see link) and last Monday’s survey if you haven’t done so. What’s holding you back from being honest with your partner about finances? I would appreciate any comments you have about the blog and sign up to be a regular subscriber. Brandon Davies, a key contributor to the BYU basketball team was suspended for the remainder of the season due to violating the school’s moral code. Upon hearing the news, BYU promptly got blown out in their next game. Since Davies was the 3rd leading scorer and top rebounder on the team, his abscence will more than likely derail the school’s chances @ winning the title. It happens every year, an injury here, a suspension there affects the team’s run at a national title. Likewise, if either you are your partner isn’t fully committed to competing in Marriage Madness it will derail your opportunity at possibly winning the Marriage Madness title and gaining Financial Freedom. After reading the last few blogs you still aren’t completely focused, what can you do to correct it? Understand personal finance in the context of family, instead of operating as if you are single. Or, you are trying to figure out how to operate financially, how you both use money and how you both communicate with one another about money. As the coach of BYU will tell his players..I as your coach will tell you, the only chance you have at winning is playing the games and playing to win.